Sentro 1771, Manila’s very first Modern Filipino restaurant recently held a groundbreaking ceremony for its third branch at Capitol Commons. With two branches located at Greenbelt 3 and Serendra Bonifacio Global City, the soon-to-rise Sentro 1771 is well located as it is envisioned to be the newest urban destination south of Ortigas Center. Foodies and families from Pasig and surrounding areas who crave more than the usual Filipino comfort food will surely be delighted with Sentro’s offerings. Targeting completion towards the end of the year, Sentro 1771 Capitol Commons will be located at Meralco Avenue corner Shaw Boulevard. 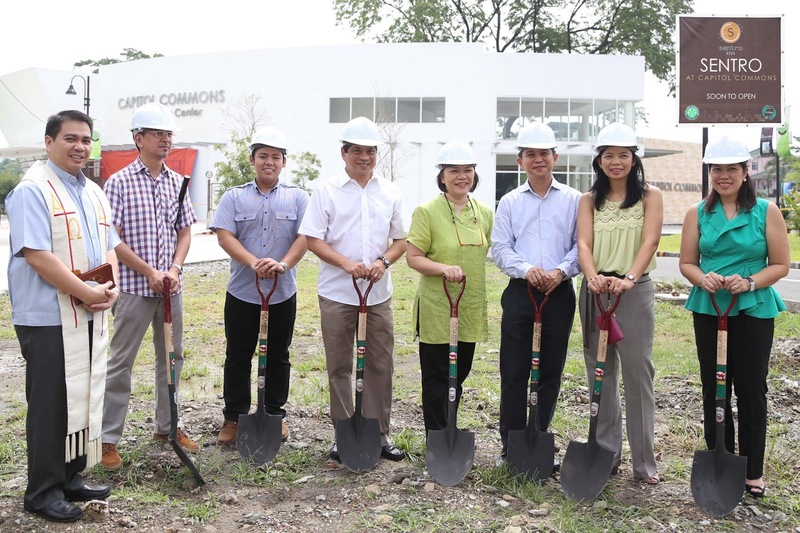 Shown in the photo from left to right are Father Jun Sescon, Architect and Designer Noel Bernardo, Architect Anthony Cavida, 1771 Group CEO and Restaurateur Ricky Gutierrez and Executive Chef Vicky Rose Pacheco, and OCLP Holdings representatives Senior Vice President Joey Santos, General Manager Cathy Cesares-Ko, and Senior Manager Lanie Bukuhan. Join the Triple Bloggers' Treat Cash Giveaway!